Today we start a 6 week mini-series of folklore and stories from Africa. HUNGER and want forced Monkey one day to forsake his land and to seek elsewhere among strangers for much-needed work. Bulbs, earth beans, scorpions, insects, and such things were completely exhausted in his own land. But fortunately he received, for the time being, shelter with a great uncle of his, Orang Outang, who lived in another part of the country. When he had worked for quite a while he wanted to return home, and as recompense his great uncle gave him a fiddle and a bow and arrow and told him that with the bow and arrow he could hit and kill anything he desired, and with the fiddle he could force anything to dance. The first he met upon his return to his own land was (Brer) Hyena. This old fellow told him all the news and also that he had since early morning been attempting to stalk a deer, but all in vain. Then Monkey laid before him all the wonders of the bow and arrow that he carried on his back and assured him if he could but see the deer he would bring it down for him. When Hyena showed him the deer, Monkey was ready and down fell the deer. They made a good meal together, but instead of Hyena being thankful, jealousy overmastered him and he begged for the bow and arrow. When Monkey refused to give it to him, he thereupon began to threaten him with his greater strength, and so when Jackal passed by, Hyena told him that Monkey had stolen his bow and arrow. After Jackal had heard both of them, he declared himself unqualified to settle the case alone, and he proposed that they bring the matter to the court of Lion, Leopard, and the other animals. In the meantime he declared he would take possession of what had been the cause of their quarrel, so that it would be safe, as he said. But he immediately brought to earth all that was eatable, so there was a long time of slaughter before Monkey and Hyena agreed to have the affair in court. Monkey’s evidence was weak, and to make it worse, Jackal’s testimony was against him. Jackal thought that in this way it would be easier to obtain the bow and arrow from Hyena for himself. And so fell the sentence against Monkey. Theft was looked upon as a great wrong; he must hang. The fiddle was still at his side, and he received as a last favour from the court the right to play a tune on it. He was a master player of his time, and in addition to this came the wonderful power of his charmed fiddle. Thus, when he struck the first note of “Cockcrow” upon it, the court began at once to show an unusual and spontaneous liveliness, and before he came to the first waltzing turn of the old tune the whole court was dancing like a whirlwind. placed lovingly against the instrument, and his eyes half closed, he played on, keeping time ever with his foot. “I acknowledge, I acknowledge!” cried Hyena, while Lion cried, at the same instant, that he withdrew the sentence. Monkey gave them just a few more turns of the “Cockcrow,” gathered up his bow and arrow, and seated himself high up in the nearest camel thorn tree. The court and other animals were so afraid that he might begin again that they hastily disbanded to new parts of the world. Are you looking for work or wanting to earn that bit extra to make ends meet? 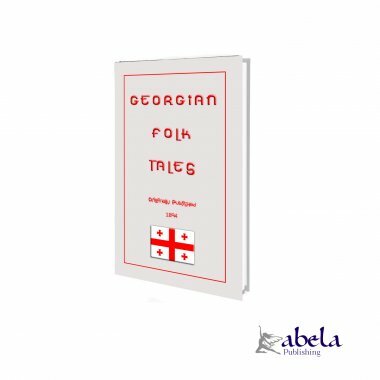 We have made these stories freely available to you and we ask you to please make these booklets freely available friends, parents, teachers and storytellers whom you may know. So, pass them on! Hanina promised obedience to this strange injunction of his father, and events fell out in accordance with the old man’s prediction. The aged couple died on the same day, were buried together and after the week of mourning, on the day preceding the Passover festival, Hanina made his way to the market place wondering what adventure was in store for him. He had scarcely entered the market place, where all manner of wares were displayed, when an old man approached him, carrying a silver casket of curious design. “What does it contain?” asked Hanina. “What is the price?” he asked. Hanina’s wife was sorely disappointed, but she gave food to the frog which devoured everything greedily. So much did the creature eat that when the Passover had ended, in eight days it had grown to an enormous size. Hanina built a cabinet for his strange possession, but it continued to grow and soon required a special shed. Hanina was seriously puzzled, for the frog ate so ravenously that he and his wife had little food for themselves. But they made no complaint, although their hardships increased daily. They were compelled to dispose of almost everything they possessed to keep the frog supplied with food, and at last they were left in a state of abject poverty. Then only did the courage of Hanina’s wife give way and she began to cry. “Give us food,” sobbed the woman. “It is there,” said the frog, and at that very moment there was a knock at the door and a huge basket of food was delivered. Once Upon A Time there was once a happy king. Great or small, maid or man, every one was happy in his kingdom, everyone was joyful and glad. viziers, but they also could not divine what this dream presaged. Then he said: Assemble all my kingdom together, perhaps some one may interpret it.’ On the third day all the people of his kingdom assembled in the king’s palace. Among others came a poor peasant. that he might not share with the serpent, but went by another path. Some time passed by, the king saw another vision: in his dream a naked sword hung suspended from the roof. The king this time sent a man quickly for the peasant, and asked him to come. The peasant was very uneasy in mind. There was nothing for it, the peasant went by the same footpath as before. The peasant replied: ‘Half, certainly not! I shall give thee a black stone and a burning cinder.’ He drew out his sword and pursued it. The serpent retreated into a hole, but the peasant followed it, and cut off its tail with his sword. He humbly asked forgiveness for his former offences. The serpent said: ‘Be not grieved nor troubled; it certainly was not thy fault. The first time, when all the people were entirely deceitful, and there was treachery and hypocrisy in the land, thou too wert a deceiver, for, in spite of thy promise, thou wentest home by another way. The second time, when there was war everywhere, quarrels and assassination, thou, too, didst quarrel with me, and cut off my tail. But now, when peace and love have fallen on all, thou bringest the gifts, and sharest all with me. Go, brother, may the peace of God rest with thee! I do not want thy wealth.’ And the serpent went away and cast itself into its hole.